Big GameIs New Tech Good or Bad for Hunting? Mostly, technology makes life better. But sometimes, its use defeats the purpose. In hunting, questions have always been raised about equipment improvements and whether or not they violate the tenets of fair chase. This dates back decades, when traditional archers screamed bloody murder at the thought of the compound bow being allowed during archery-only seasons. I can remember back in 1985 when Tony Knight brought the MK-85 — the first successful inline muzzleloader — to market. It was so much more efficient than the percussion rifles of the day that I wrote that the modern inline was nothing more than a single-shot rifle with ballistics comparable to the .30-30 (which was true). When coupled with a quality riflescope, pelletized propellant and sabot-encased projectile, why should they be given their own special primitive-weapons hunting season? 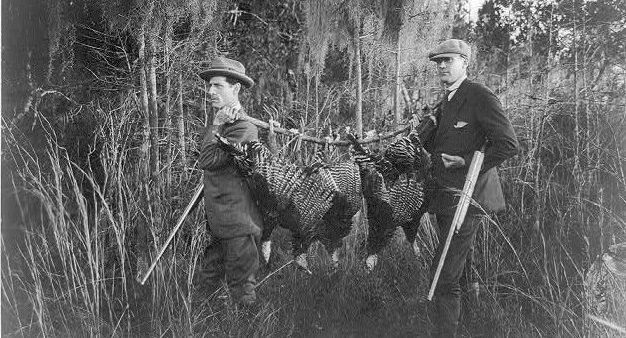 Some game departments soon realized they couldn’t regulate inline improvements, so to combat their effectiveness, they began regulating usage by banning the use of scopes, pellets, and sabots in the hope that hunters would not take shots past 100 yards or so. The debate rages on today along different fronts. As crossbow hunting has become more popular and the majority of states have legalized their use during archery-only seasons, many are crying that this isn’t really “bowhunting.” Still, the trend is that more and more states are jumping on the bandwagon. In 2012, for example, in the Midwest, Northeast, and Southeast, 21 of 37 states allowed crossbow use; in 2018, it’s 29 states. Drones equipped with video cameras are another hot topic, and most states have banned their use during hunting seasons; again the exceptions are primarily in the southeast. And then there are “live action” trail cameras (cellular) that have the capability to transmit pictures and/or video instantly via text or e-mail. They’re great scouting tools, but concerns are growing that some may use them unethically when hunting, and so states are reviewing their use. Look for the further regulation of trail cameras in coming years, whether a total ban on cellular cameras or severe restrictions on their use during actual hunting seasons. When you think about it, it’s easy to understand why all this technology continues to creep into the hunting world. As a society, we depend more and more on devices that make our lives easier, more efficient and enjoyable. Doesn’t it just make sense that we’d want to bring this technology with us as we recreate? In today’s go-go world where most folks are “blowing and going” trying to balance work and family, it just seems natural that using technology that saves hunters their most precious commodity — time — in becoming successful in the field would be the way to go. Fair chase hunting is like that. To be consistently successful is hard. It requires a lifetime of dedication, of learning, and of sacrifice. Becoming a skilled woodsman is not something you can get out of a book or a YouTube video. You have to spend countless hours in the woods, often stumbling about blind as a baby as you learn about the subtle nuances of Mother Nature, how to read sign, what plants animals prefer to eat, how to play the wind. You also do not become proficient with your weapon of choice without spending a lot of time practicing with it. When it comes to all this new technology, I’m sort of caught on the fence. I certainly enjoy the everyday life advantages of computers, and really do appreciate the advances that have made compound bows, arrows and broadheads more consistently accurate. I love the fact that you can buy a rifle for under $500, load it with factory ammo, and shoot one-inch groups — something in the “old days” we had to spend a lot of time at the handloading bench to achieve. But I also believe that one receives the most satisfaction in life from things that have been earned through sweat equity. In hunting, to me that’s becoming a skilled woodsman that relies on my own skills, not those of a gadget. What’s your take? Do you think the use of high-tech gadgetry is good or bad for hunting? Do today’s hunters strive to become better woodsmen, or are they just in it for quick success? I’d love to hear from you! Drop me a note at bob.robb@grandviewoutdoors.com and let’s chat!